Since Representative Edward Markey couldn't be in Bali for the United Nations climate change meeting, he appeared virtually instead. With the help of a staffer, Markey created an avatar in Second Life, and addressed the meeting via video screen, from his place in the virtual world. Sadly, he didn't get too adventurous with his dress. 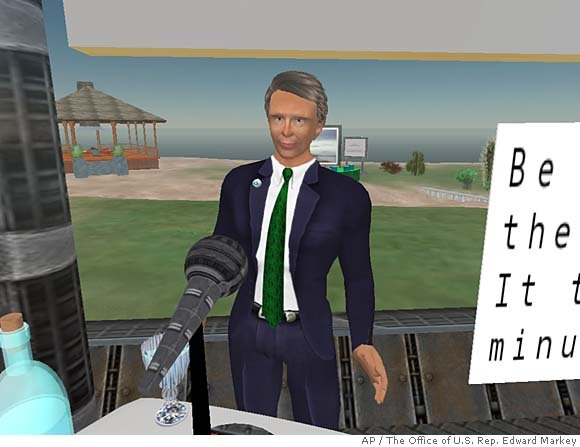 Even his avatar looks like a Capitol Hill insider. To conquer we need to dare, to dare again , ever to dare.